Duchy Homes has announced that its luxury bungalow show home at High Gables in Ranskill will be opening in early March 2018. 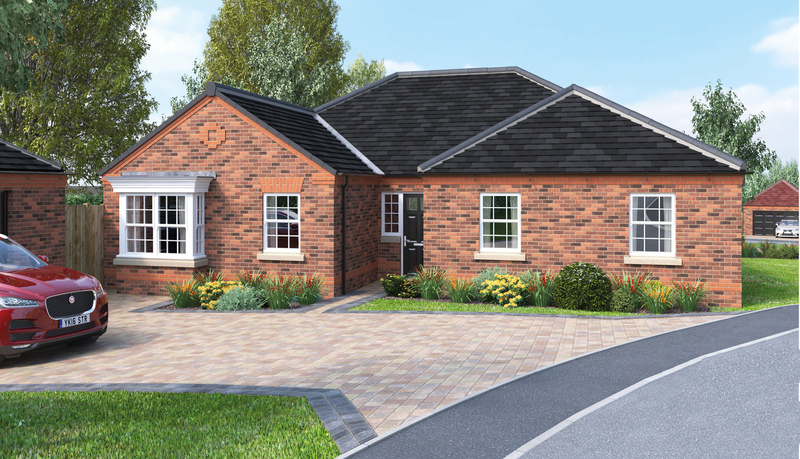 The exclusive Duchy Homes site on Folly Nook Lane will comprise of just 10 luxury three-bedroom bungalows in the village of Ranskill, North Nottinghamshire. The new development boasts spacious ground floor rooms, large private gardens and great features as standard, such as bi-fold doors, smart meters, AEG appliances, granite worktops and walk-in wardrobes. Ranskill offers great local amenities and impressive natural beauty on its doorstep – with attractions such as the National Trust’s Clumber Park, Sherwood Forest, Idle Valley Nature Reserve, Roche Abbey, Hodsock Priory and Gainsborough’s Old Hall. Since its foundation in 2011, Duchy Homes has grown significantly through investment and a focus on building luxury homes on small- to medium-sized developments to offer exclusivity, comfort and attention to detail. Ensuring their homes complement and enhance the local environment, the materials and fittings are selected to create homes of which residents and local communities can be proud. The High Gables development in Ranskill is expected to complete at the end of Summer 2018.